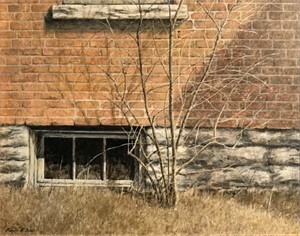 Painting subjects that express textures and details of rural life stories while working in egg tempera allows me to extend my passion for drawing into a paint medium. Roger Blair’s life is heavily influenced by his father, a technical artist and illustrator. This influence and his passion for drawing helped Roger pursue a life in the art world by working in painting, illustration, signage and framing. Anything to do with creating Art. 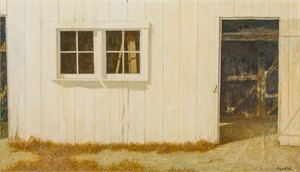 He worked as a commercial artist and then as an Illustrator for the US Air Force. 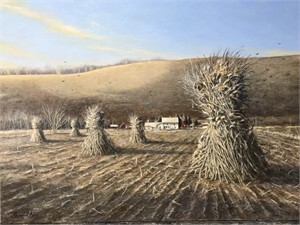 He opened his own studio to pursue this passion for egg tempera paintings to depict the incredible textures and details that portray real rural life stories. 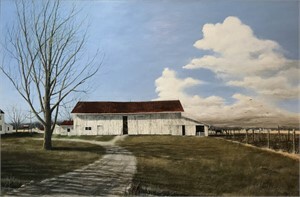 Big old barns, fields of hay and rolling hills of farmland are captured in the greatest detail. 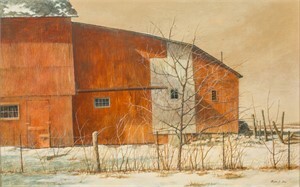 His style of painting is reminiscent of Andrew Wyeth with influences from Robert Vickery, Winslow Homer, Edward Hopper and Norman Rockwell. 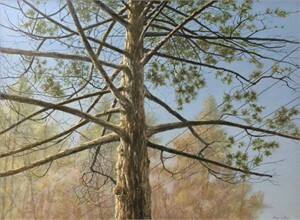 His goal is to captured the subjects with uncanny realism. 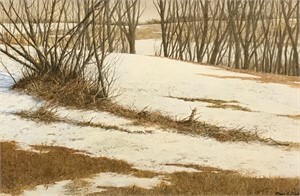 His work can be found in numerous private collections across the United States, and has also been shown in galleries in Ohio, Indiana, Virginia, and Michigan as well as prestigious juried shows in Indiana, Ohio, Kentucky, and Michigan. 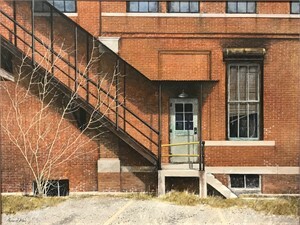 His work has been accepted into the Annual Midyear Painting Show at the Butler Institute of American Art in Youngstown, Ohio, the Springfield (Ohio) Art Association (purchase award) and the Dayton (Ohio) Society of Painters and Sculptors. 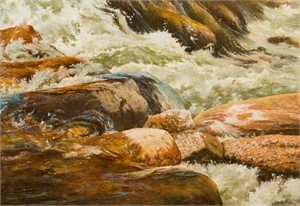 He was also invited to submit an article and painting demonstration for American Artist Magazine. 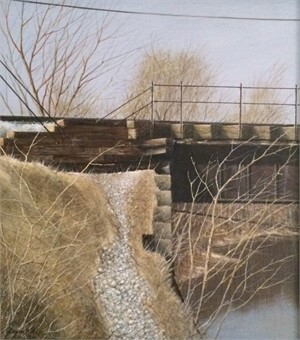 Roger resides in southeast Michigan, and his attention to care and detail can be seen in other aspects of Roger’s life. His hobbies are songwriting, performing with an acoustic guitar, fly fishing, and Yoga. 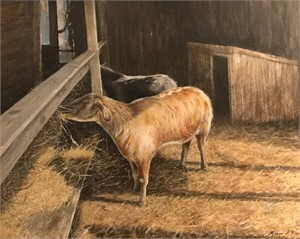 Artist Statement: Painting subjects that express textures and details of rural life stories while working in egg tempera allows me to extend my passion for drawing into a paint medium. About: Roger Blair’s life is heavily influenced by his father, a technical artist and illustrator. This influence and his passion for drawing helped Roger pursue a life in the art world by working in painting, illustration, signage and framing. Anything to do with creating Art. He worked as a commercial artist and then as an Illustrator for the US Air Force. 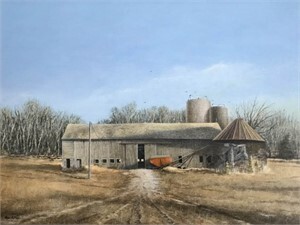 He opened his own studio to pursue this passion for egg tempera paintings to depict the incredible textures and details that portray real rural life stories. 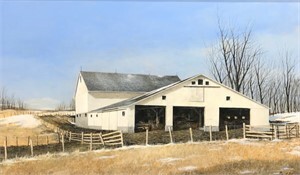 Big old barns, fields of hay and rolling hills of farmland are captured in the greatest detail. 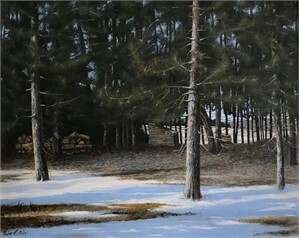 His style of painting is reminiscent of Andrew Wyeth with influences from Robert Vickery, Winslow Homer, Edward Hopper and Norman Rockwell. 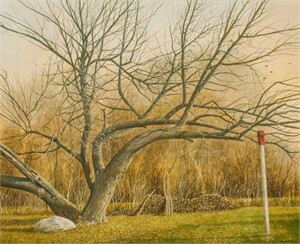 His goal is to captured the subjects with uncanny realism. 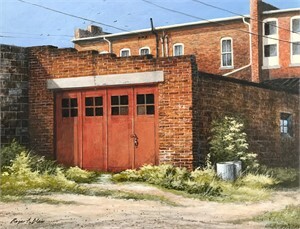 His work can be found in numerous private collections across the United States, and has also been shown in galleries in Ohio, Indiana, Virginia, and Michigan as well as prestigious juried shows in Indiana, Ohio, Kentucky, and Michigan. 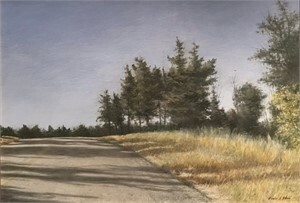 His work has been accepted into the Annual Midyear Painting Show at the Butler Institute of American Art in Youngstown, Ohio, the Springfield (Ohio) Art Association (purchase award) and the Dayton (Ohio) Society of Painters and Sculptors. 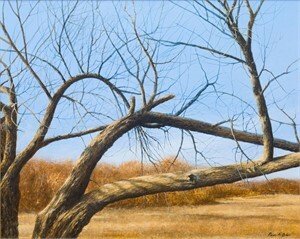 He was also invited to submit an article and painting demonstration for American Artist Magazine. 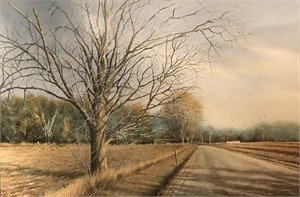 Roger resides in southeast Michigan, and his attention to care and detail can be seen in other aspects of Roger’s life. His hobbies are songwriting, performing with an acoustic guitar, fly fishing, and Yoga.